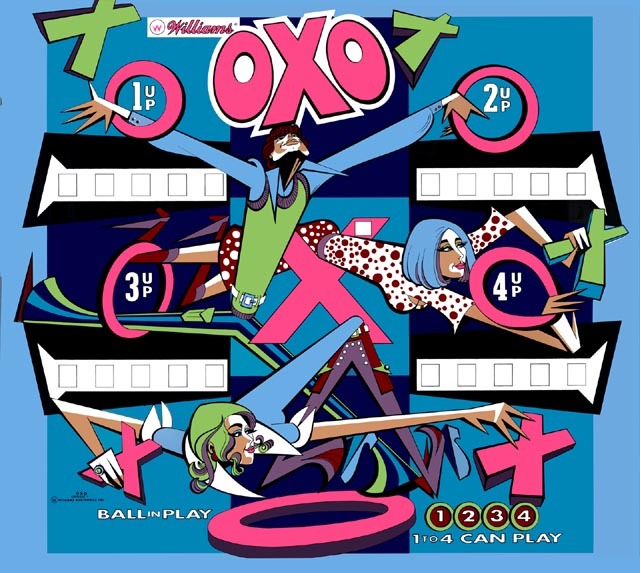 The 1973 Williams OXO pinball backglass is one where it’s difficult to find a good example. We dug around for a while and managed to find one that wasn’t too flaked, scanned it, and corrected the artwork. There are some other digital re-makes of this glass out there, but they are generally pretty expensive. We stay well below the others’ pricing. Below are the before and after pictures.